Our state of the art hand dryers will make a great positive impression on your customers with easy to use wall mountable designs, germ preventing technology, powerful motors and high speed fans to provide the most hygienic experience for every visitor. 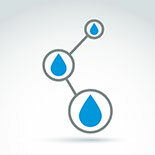 Your facilities will be transformed with high performance drying, excellent hand hygiene and a stylish aesthetic to complement any modern washroom. Our ‘touch free’ automatic hand dryers can be operated without the need to actually touch the machine, whilst SteriTouch antibacterial technology keeps them impeccably clean and hygienic. With free installation and flexible service options to keep your hand dryers in full working order all year round, we offer the most reliable and professional hand dryer service in the country. Get a free quote today to transform your washroom with our hand dryers. PHS’s Airstream series of hand dryers use the latest technology to create a trio of hand dryers, each targeting a different priority when it comes to hand drying. The Airstream Pure is the perfect hand dryer for those who are most at risk of spreading harmful germs and bacteria. Thanks to its HEPA filters, the Airstream Pure eliminates 99% of germs from drying air, making it one of the most hygienic hand dryers on the market today. For busy customer-facing businesses, speed is the priority when it comes to hand dryers. The ideal choice is the Airstream Vitesse. The Airstream Vitesse dries the hands in just 15 seconds, thanks to its 1100w motor. Where noise is a problem, the Airstream Whisper is the hand dryer of choice. The Airstream Whisper has been Quiet Mark certified, which means that it is one of the quietest hand dryers available. 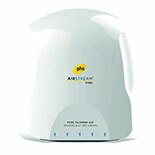 Using just 800w of power, the Airstream Whisper is cost-effective, costing £0.09 for 150 dries. All three Airstream hand dryers are interchangeable, thanks to its back plate design. Our patented technology allows you to remove the Airstream without needing an electrician, making it a cost effective and efficient hand dryer to service. If you want a powerful, economical hand dryer that reduces the spread of harmful bacteria, thanks to its built-in HEPA filters, you should consider the Dyson Airblade V. The Airblade V has attained the Quiet Mark, an international approval award founded by the UK Noise Abatement Society, a foundation that wants businesses to reduce noise pollution. The Airblade V comes in a choice of two colours, white and nickel, so it can fit in with any washroom style. 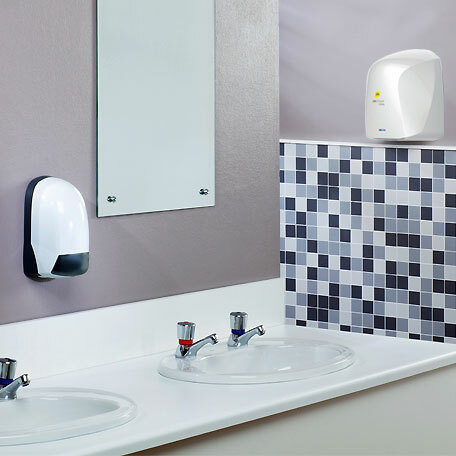 Investing in high quality hand dryers for your washroom will improve hand hygiene, reduce queues and usage times, whilst saving money over using paper towels. Studies have shown that as much as six times as many bacteria are found on paper-towel dispensers as they are on hand dryers. Not only are hand dryers cleaner than paper towels, but they are more economical as well. The average cost to restock paper towels throughout the year is around 32 times more than the annual running cost of a hand dryer. Our hand dryers include a variety of state-of-the-art features that maximise energy efficiency, drying power and hand hygiene, with better economical value and less impact on the environment than paper towels. This combination makes hand dryers easier on your budget, whilst keeping your energy bills and carbon foot print as low as possible.